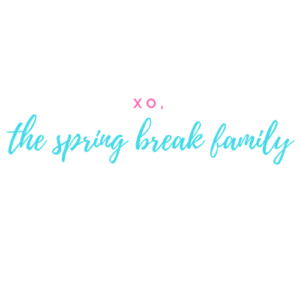 Looking for where to stay in Rome with kids? Figuring out where to stay in Rome with kids can be difficult. The city is massive with a ton of fun areas in the city center. There are literally thousands of options to pick from. But, don’t fret — we’re here to help! Here is a list of recommended areas in Rome and some options to choose from. If you want to see exactly where we stayed during our trip to Rome, check out our trip recap here . This is my favorite area when considering where to stay in Rome with kids. This is where we stayed during our 2018 trip to Rome and it was perfect. Many of the tourism sites in Rome are within walking distance from this area. It is also a great area for a taxi or public transit. Most of all, it is safe and quiet which is a must when figuring out where to stay in Rome with kids. If you’re short on time, prefer to be in the mix of things, this is a great option for you. Please note, that the prices of this area usually reflect this as well. Also, because this is a tourist area, you are sure to deal with crowds around the clock. This is hotel is only a few yards from the Trevi Fountain and offers an airport shuttle to get to and from the airport. They also offer family rooms with two twin beds, 1 king bed, and 1 sofa bed. Great option for families! 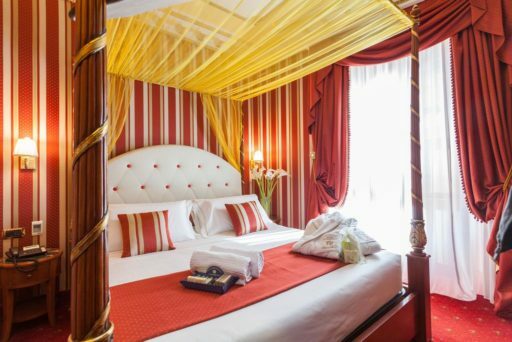 Located just 500 feet from the Trevi Fountain, this hotel offers a quadruple room guaranteed to fit a family of four. It has rave reviews for its breakfast and its rooftop terrace as well. 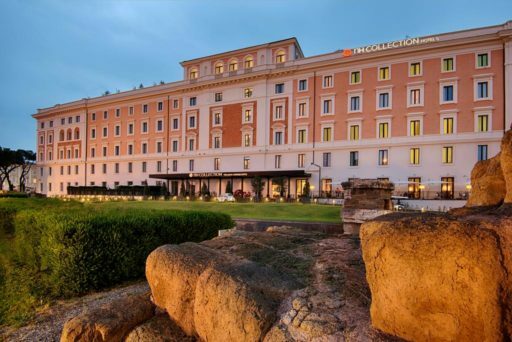 This hotel is smack dab in the middle between the Trevi Fountain and the Spanish steps. It is 1300 feet to either attraction and close to numerous restaurants and shopping areas. They have many room types available for families including a 4 bed suite. They also provide a free minibar the first night with 2 small bottles of water, 2 fruit juices, 2 soft drinks and 2 snacks. Who can say no to free snacks? This area is actually pretty close to the Trevi Fountain but the price difference makes it worth separating the two. Again, this area is right in the mix of things and places most of the things you’d like to see within walking distance. 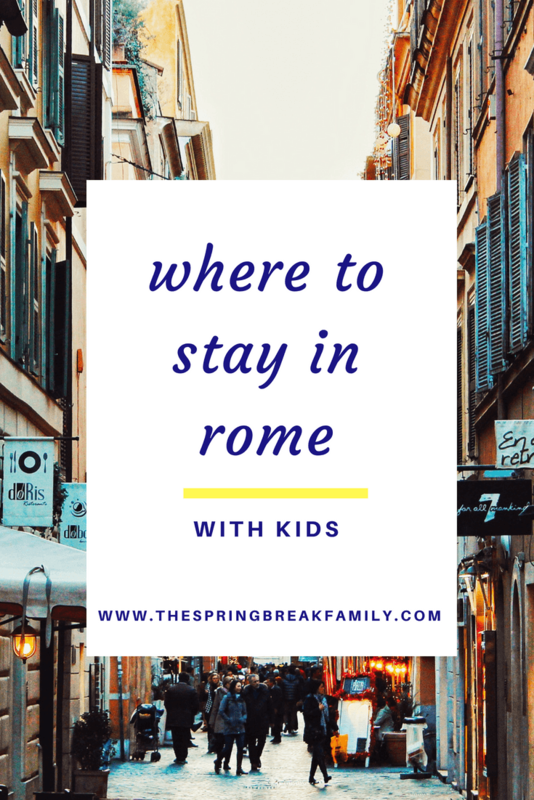 There are also a lot of restaurants and shopping in the area – things to consider when determining where to stay in Rome with kids. This is also known as a more “upscale” part of historical Rome city center. And oh, do the prices, remind you of that. However, deals can be found in the area and it is a great option for families. A rooftop terrace, free wi-fi, and free mini-bars are the selling points of this hotel. However, its location is unbeatable. Located at the top of the Spanish steps leading to Trinità dei Monti it is right in the middle of all the charm that is the area around the Spanish Steps. Their room choices are sure to fit any family as well. They offer rooms from a single bed to a two bedroom apartment to a three bedroom suite! 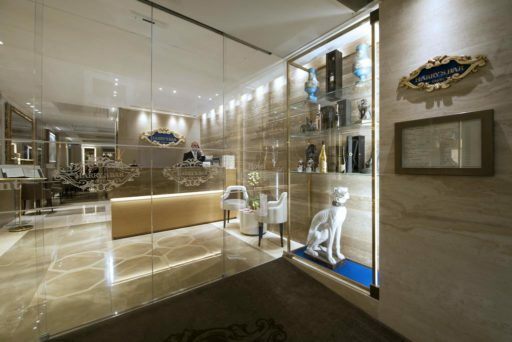 They are also one of the few hotels in Rome that offer connecting rooms. If you can swing it, the views from their panoramic rooms with the connecting terraces are to die for. Families love the free breakfast this hotel offers with cakes, croissants, fruit, yogurt, and more served buffet style. Their family rooms a little smaller than other options [one queen bed and one sofa bed] but is still a great option for the area. These areas aren’t the same but they are super close so for posterity’s sake we are combining them. I’ve said it before and I’ll say it again — Piazza Navona is my favorite area of Rome. Make no mistake; it is a busy part of town. But there is beauty in its frenzy and it’s still incredibly kid friendly. There are gelato shops on every corner and the piazza is a free, open space for the kiddos to burn some energy. This area is a good option for those that will split their activities between monuments in historical Rome and other areas like the Vatican. Definitely a contender for where to stay in Rome with kids. Their family rooms are a little on the small side but their location helps make up for it. 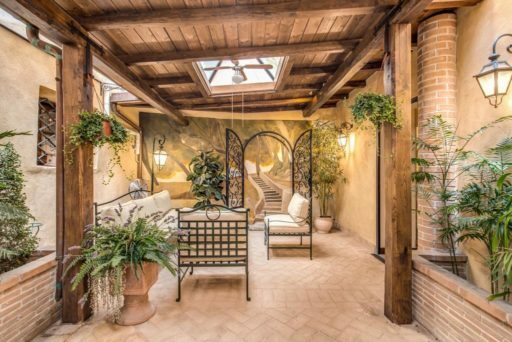 It is very close to the Pantheon and only a five minute walk to Piazza Navona. Other perks include a daily continental breakfast, free wifi, and a seating area in each room. 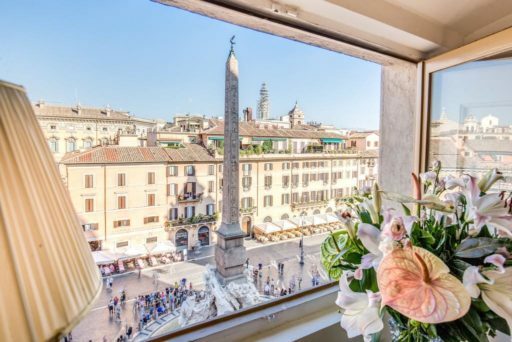 This wonderful hotel is located right on the edge of Piazza Navona. Not only does it come with a complimentary continental breakfast, free wifi, and a flat screen TV but their rooftop deck has panoramic views of the entire piazza. They have many room choices but they are one of the only hotels in Rome to offer a room big enough for 8. Yep, 8. Their 4 bedroom suite is a rarity in Europe and a perfect option for families that prefer more space. They have smaller options available as well. Palazzo Navona Hotel gives you the standard fare: a spacious room, free wifi and air conditioning. But they also provide their guests with a free cell phone for navigation and any other cellular data needs. Their family room options are awesome too with double, triple, and junior  suites available. As a plus, they are located mere steps away from Piazza Navona. 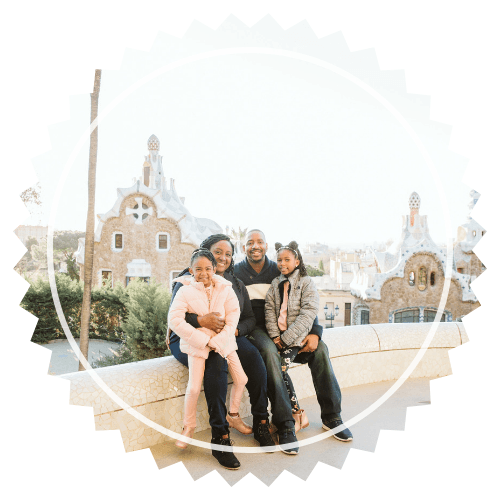 I frequently see Trastevere featured as one of the best neighborhoods for families figuring out where to stay in Rome with kids. It definitely has its charm and appeal. It is mostly filled with residents so you get more of a local feel. It is also home to some of the best restaurants and bars in Rome. If this is your scene then you’ve found your spot! It is also located very close to Vatican City making your visit there a breeze. This area might not be for you if nightlife bothers you or if you are sensitive to noise. Not all of the properties there are loud but because this is a student dense area, it is known for parties that last all night. Residenza San Calisto will be a favorite amongst kids because their family rooms have bunk beds! It used to be a historical building and was renovated into a hotel with rooms and apartments. They also have an airport shuttle available for their guests. 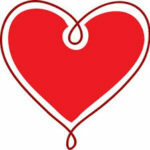 It’s no secret that we have a love thing going with NH Collection hotels so this choice was a no brainer. NH Collection Palazzo Cinquecento is literally steps away from the station. Their breakfast options, while not free, are above par. They also have free wifi, air conditioning, and a minibar. They offer a variety of family rooms and kids under 12 stay free! The Liberty Boutique Hotel is a wonderful option for families big and small. They offer a family room with up to four beds to provide a variety of options for their guests. They also provide a continental breakfast buffet, free wifi, and a minibar. The family room offerings at iQ Hotel Roma are a little on the small side but it is a great option for families balling on a budget. They have triple and quadruple rooms for families with multiple kids, free wifi, and a breakfast buffet. Have you been to Rome? 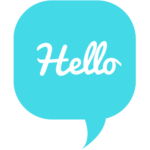 Do you have any family friendly hotel recommendations?